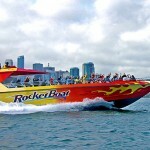 Your trip to San Francisco is not complete without a cruise on the Bay. Blue & Gold Fleet is proud to operate the largest, safest and most environmentally friendly fleet and we are committed to making your experience with us fun and memorable. We offer a range of fun and fascinating cruises that will suit both your itinerary and your budget. 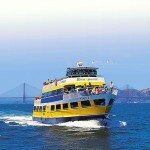 Join us now and discover the beauty and grandeur of San Francisco Bay. Coupon good for up to 6 ticket discounts and must be presented at time of purchase. Not for resale. No cash value. Cannot be used in conjunction with any other discount.